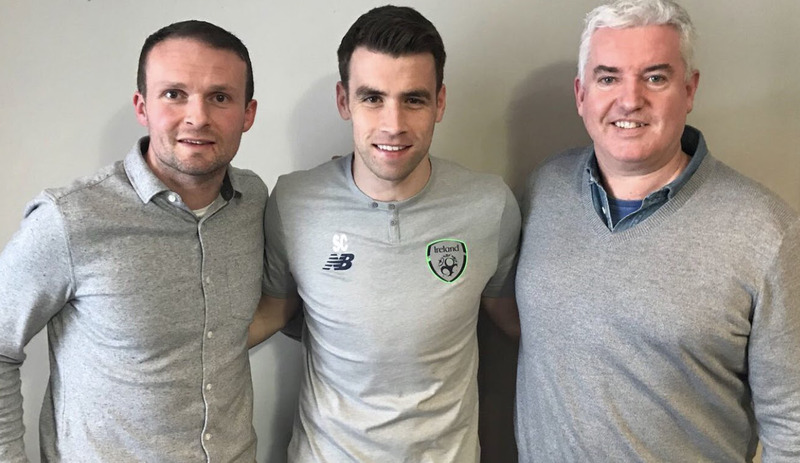 Seamus Coleman will never forget his roots after starting his professional career in the SSE Airtricity League and the Republic of Ireland captain would like to return one day...to manage. The former Sligo Rovers full-back was a special guest on the latest episode of Greatest League In The World - the official weekly podcast of the SSE Airtricity League - where he spoke passionately about his respect for the domestic game. Hosted by Con Murphy and St Patrick's Athletic winger Conan Byrne, the podcast has proved to be hugely popular amongst everyone connected to the League. Past guests include President Michael D. Higgins, Ireland manager Martin O'Neill, and a host of personalities who are involved in the League in various ways. Also on the latest episode is UCD boss Collie O'Neill, who discusses his own coaching pathway. However, it's Coleman's honest views on the League that stand out. The 29-year-old is committed to starting his coach education with the FAI and he sees the League as a potential platform to learn his trade - once he eventually hangs up his boots. "My focus is probably on playing as long as I can in England at the highest level I can and I wouldn't want to come back to the League of Ireland just to come back. I would want to make sure I had something to offer," said Coleman. "I know James (McClean) is very passionate about coming back to Derry and being a Derry lad I think that hits home a bit more for him. But he wants to come back with plenty in the tank, from talking to him. I want to play as long as I can at the highest level and then see from there. "It has crossed my mind a few times to get my coaching badges done and managing, or starting, in the League of Ireland. And try and do well and build from there."